I don't know if it's just my browser but the pictures are cropped. I ended up linking to my pics on Photobucket.com. Ah, so it does. 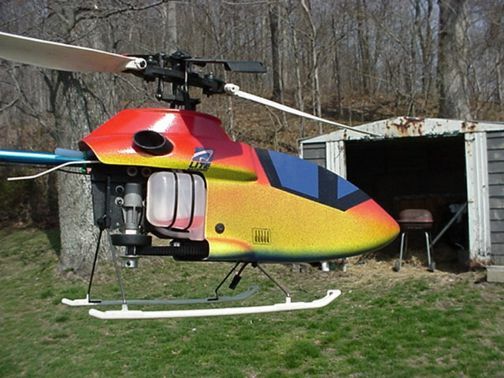 Nice looking helicopter, those are amazing machines. I'm just curious, Metalhead, have you got one of the new NV engines or an older Norvel? I'm curious if the NVs are still built tight like the old Norvels, or do they make them looser so the inexperienced masses don't have trouble getting them running? I think the instructions for cold spinning a new engine with castor to reduce the pinch is part of dumbing it down to prevent complaints from mechanically challenged "modelers." That is actually very bad for the engine. Rather, a new one should be heated with a heat gun before cranking to naturally relieve the pinch, instead of grinding it down and ruining the Revlite coating. Their recommendation of a 6x3 prop on .049 and .061 airplane engines is equally baffling. These engines are meant to run high RPMs and the larger prop won't let them spin up. I guess if they don't make it easy, they can't stay in business. Understandable but disappointing. 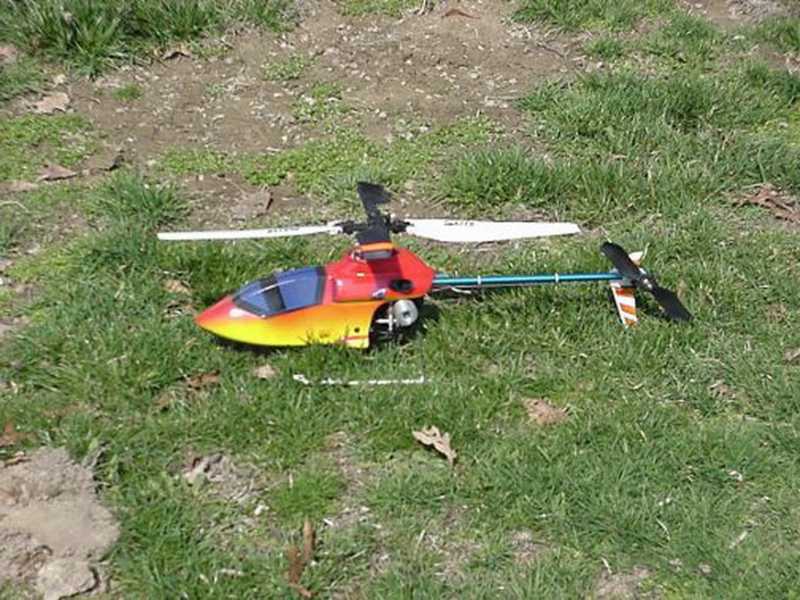 Mine are all older and I just got a new old stock MINT V-max 7 .074....and its got a bit of a bump at TDC BUT if you warm it with a heat gun its like butter.....Going in the Heli as we speak......should be fun ...I have never flown one with a 074. Hopefully I don't suffer the vmax 7 con rod issues....this engine is at best a 2002 version with the newer head button on top of the glow plug then the heat sink goes on.